In Myanmar six percent of the population is Christian, most of them living in the Chin, Kacin and Kayin states, with the remaining in the Ayeyarwaddy Delta area. There are over 100 Christian churches in Yangon alone, with a few dating over 100 years. Many of them hold a special service on the Sundays prior to 25 December, celebrating with a pre-Christmas Cantata. 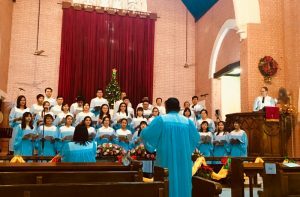 We can take guests to enjoy a musical Cantata in December 2018 on either the 9th, 16th or 23rd in Yangon The morning service starts around at 8:30 am and afternoon service at 4 pm. Christmas Cantata takes 30 – 45 mins for 7-10 songs and the total duration of the service is around one hour. Clients can take part in the singing and church music, learning all about Christian life in Myanmar. We can also arrange a meeting with the local pastor/church leader to gain unique insight into the history of the church. 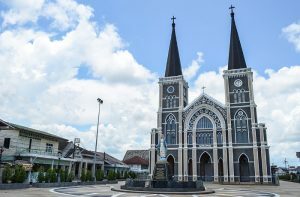 Chanthaburi’s Cathedral of the Immaculate Conception is the largest Christian Church in Thailand. With its two towers, it became the symbol of the city. The original spires were taken down during World War II to make it less conspicuous as a possible target and have since been replaced. Chanthaburi City in Eastern Thailand has one of the largest most Roman Catholic communities in Thailand. Inaugurated in 1909 with the installation of a huge bell in one of its towers, it was built during the nearly 10 years of French occupation of Chanthabun (now Chanthaburi) and has a classic Gothic style. The center piece of this cathedral is inside. The statue of the Virgin Mary is covered by precious gems donated by the local congregation including gold, gemstones and emeralds. The blue of her cloak is composed of several thousand sapphires originating from local mines, plus hundreds of white sapphires from Sri Lanka and rubies from Thailand. Estimates of the number of gems used to decorate the statue of range from 200,000 to 500,000. It serves as the Roman or Latin rite seat of the Diocese of Chanthaburi (Dioecesis Chanthaburiensi), created in 1965 with the Bull “Qui in fastigio” of Pope Paul VI. 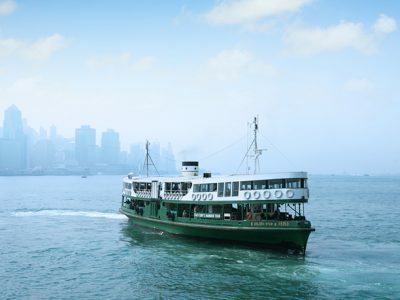 Founded in 1925 by Ngo Van Chieu, Caodaism was established based on the principles of three religions; Buddhism, Taosim and Confucianism, which have been practiced over a thousand years in Vietnam. The symbol was known on a “Left Eye of God” in the sky, with both the rising sun and moon existing together. 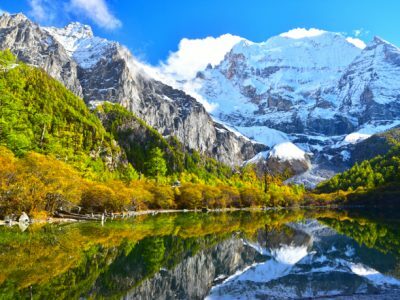 The religion was practiced with a spiritual message that all human are the combination of Eastern to Western religions. The teachings brought together different principles from Buddha, Confucius, Lao Tzu, Jesus and Moses. From 1933 to 1955, the first great temple was constructed in Tay Ninh town to the Southwest of Vietnam. 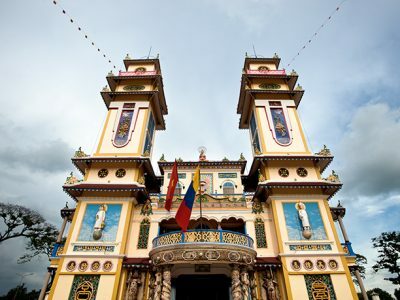 The temple was seen as a “Vatican in Vietnam” – and since then a number of Caodai temples have been constructed throughout southern and central Vietnam. 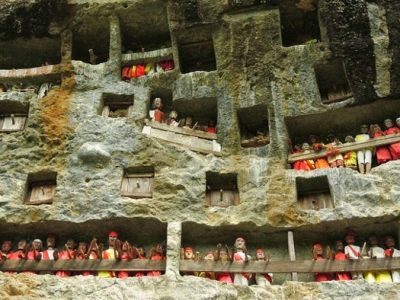 The Caodai temples hold ceremonies four times a day, and are quite colourful with chanting and instruments played. 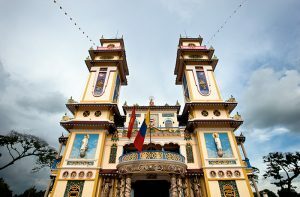 Today, Caodaism has become the third largest religion in Vietnam with about 4.5 million followers worldwide. Visiting a service at the Great Temple in Tay Ninh at noon is highly recommended in combination with a morning tour of Ho Chi Minh City. This unique mosque was built for Thai Muslims who chose to live along the Bangluang Canal, during the time of King Taksin’s fight to liberate Thailand from Myanmar (1767). Located in the Thonburi region by Khlong Bangkok Yai (formerly Khlong Bangluang) at the mouth of the Chao Phraya River, the mosque was built in the early Rattanakosin period (approx. 1784) during the reign of King Phutthayotfa Chulalok (Rama I) by a Muslim merchant named “To Yi”. It remains the only mosque built from brick and concrete in the traditional Thai style in Thailand – and the only Thai-style mosque in the world decorated with three-tiered art including Thai, Chinese and European. Bangluang Mosque is close by to other religious houses of worship, including Wat Prayurawongsawat, Wat Kalayanamitr, Santa Cruz Church and Kian Un Keng Shrine. 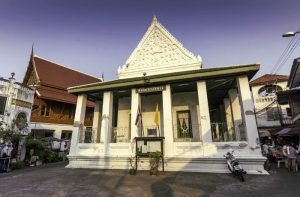 Destination Asia Thailand’s Kudi-Chin Heritage Walk explores this multi-cultural area and its religious buildings, revealing a rich history to this peaceful corner of Bangkok. 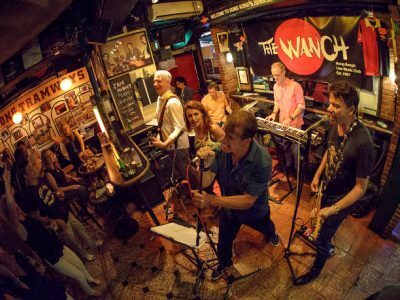 This tour focuses on the plight of Jewish people that managed to escape to Shanghai from Nazi Europe. An English speaking guide reveals the areas in which the Japanese confined them, detailing what life would have been like for them at the time, and shares real-life case studies that illustrate how they survived. 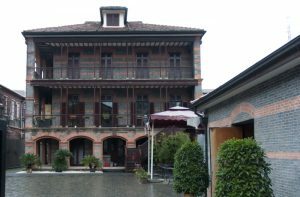 During the walking tour guests visit the Broadway Theatre, the home of the American Jewish Joint Distribution Committee and partake in a tour of the excellent Shanghai Jewish Refugees Museum where we discover how the Sephardic and Ashkenazi Jews worked together.